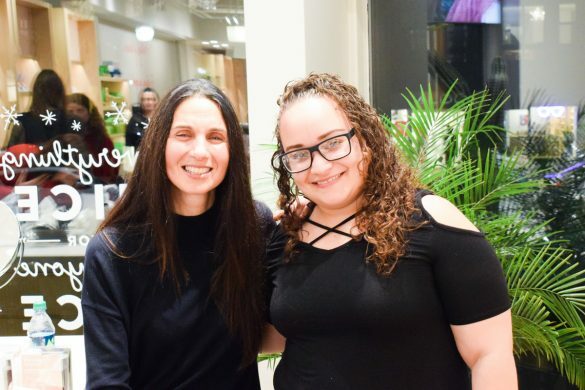 I was able to attend a Master Class at Credo Beauty that was hosted by Red Flower in Boston just before the holidays. 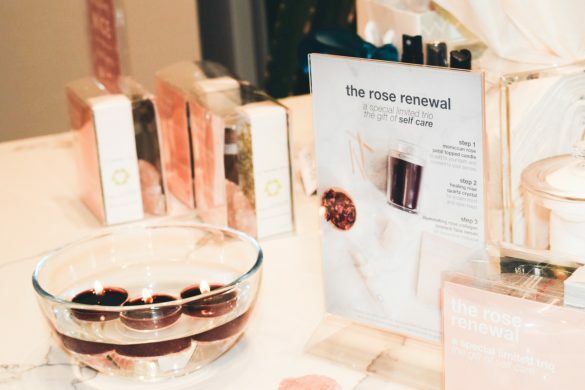 Learning more about clean beauty and the easy ways you can incorporate self care with aromatherapy and beauty around the busy times in your life was so fascinating. Credo Beauty is a clean, Eco-friendly and cruelty free organic cosmetics brand. I’ve been wanting to dive into the clean beauty for a while. Attending the master class they were offering, opened my eyes to the simple and easy things you can start doing with clean and green beauty. Using products free of parabens is always a start. Self care has become a word that I’ve been hearing more often as I became older and wiser. Especially, over the last four years being a mom. The crazy hectic schedules You never really know what it’s like to get time to yourself until you have a little mini following you around calling you mom, mommy, mama etc. 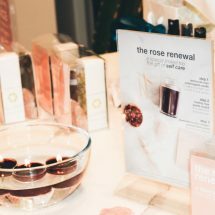 Red Flower a clean beauty brand started a collaboration using beauty + wellness called “The Rose Renewal ”. Each box includes: Red Flower Illuminating Rose Collagen Renewal Serum, a Rose Quartz Crystal, Red Flower Moroccan Rose Petal Topped Vegan Candle and Red Flower Illuminating Rose Crystal Facial Acupressure Massage™ application technique. This collaboration is made to use the act of self care and beauty with a simple technique. Using rose serum is something anyone can use, even men. One of the women that was at the masterclass stated her husband uses rose serum and loves it. Being able to use this product with the massage application technique is simple, easy and a way to relax with simple beauty. 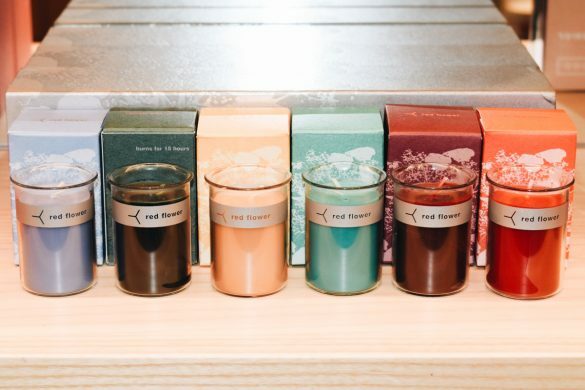 Each candle includes rose petals on the top. They are one of the sources for relaxation and aromatherapy. The CEO Yael Alkalay, of Red Flower indicated that the crystal creates a sensual and everlasting affect with positive energy. You can put and keep it anywhere. Just keeping it near you creates an aura that gives you a positive mind frame. Credo is located at 177 Newbury St. Boston, Ma. They offer 100+ brands that range from skincare, cosmetics, hair care, fragrance and they also offer beauty bars for the beauty junkies. Credo created a positive and uplifting atmosphere which is similar to the meaning of clean beauty.